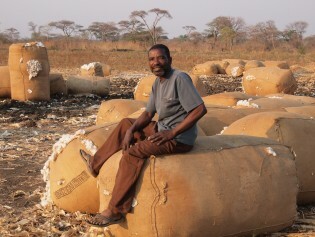 Genetically modified (GM) cotton has been produced globally for almost two decades, yet to date only three African countries have grown GM cotton on a commercial basis – South Africa, Burkina Faso and Sudan. Opinion: Where Does Nigeria Go From Here? After several tension-filled months, a majority of Nigerians swept in an opposition leader and former military man, Muhammadu Buhari, to succeed incumbent President Goodluck Jonathan, whose failure to contain a terrorist wave in the northern states doomed his re-election chances. Guinea Bissau is “close to becoming a failed state,” but not due to ethnic or religious violence, which has never existed in that small West African nation, argues Nobel Peace laureate and United Nations envoy José Manuel Ramos-Horta. Despite growing western concerns about the continuing reign in northern Mali by an Al Qaeda-linked group, analysts here say it will take months before conditions could be ripe to oust it from the region, by military force if necessary. Military action by West African states against the insurrection in northern Mali would be extremely risky without diplomatic support from neighbouring Algeria and Mauritania, according to International Crisis Group researcher Gilles Yabi. When the United Nations advocates the protection of the world's oceans, its political agenda transcends the battle against marine pollution, global warming, overfishing, greenhouse gases and sea-level rise. Tuareg and Islamist rebel groups which seized control of northern Mali in March are trying to find common ground for the joint administration of the territory. Residents of the region fear that individual and collective freedoms will not be respected if such an alliance sets up an Islamic state. U.S. Assistant Secretary of State for African Affairs Johnnie Carson says Malian soldiers who overthrew the government on Mar. 22 have neither the right to remain in power nor the strength to deal with humanitarian and security challenges facing the West African country.